BMark Burnett, Television Producer. Motivational and Leadership Speaker. Author. 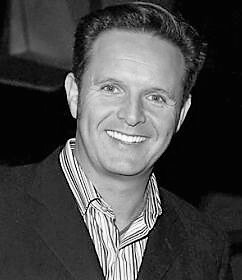 Mark Burnett is a British television producer, based in Los Angeles. Burnett is currently the executive producer of five network television series with seven hours of network programming. He has produced over 2,400 hours of television which regularly airs in over 70 countries. His current series are Survivor (2000), The Voice (2011), The Apprentice, Shark Tank (2009) and People’s Choice Awards. Burnett has been named one of the world’s most influential people by TIME Magazine. He has won five Emmy Awards and four People’s Choice Awards. In total, Burnett’s projects have accumulated 98 Emmy nominations. In addition to his work as a producer, Mark has authored eight books. Burnett has worked with Jeffrey Katzenberg, Steven Spielberg, Tom Cruise, Oprah Winfrey, Dr. Phil, Christina Aguilera, Usher, Shakira, Adam Levine, Blake Shelton, Cee Lo Green, Martha Stewart, Sarah Palin, Jeff Foxworthy, Samuel L. Jackson, and Donald Trump, among others. In 2011, Burnett sold 50% of his company to the Hearst Corporation. Burnett was formerly an NCO in the British Army’s elite Parachute Regiment. He did several tours of duty in Northern Ireland and fought in the 1982 Falklands war. In October 1982, he was on his way to Central America as an advisor to the British SAS in a “security operation”. He was going there via Los Angeles when his mother advised him to think seriously about the risks, as she had a bad feeling about it. On the flight to LA, he thought about it, and opted to stay in the USA instead, where he has lived ever since. His first job in America was as a live-in nanny, until he realized he could make more money selling T-shirts on Venice Beach. In 1991, Mark joined a French adventure competition called the “Raid Gauloises”. After competing, Burnett saw a business opportunity in holding similar competitions. He purchased the format rights and brought a similar competition, “Eco Challenge”, to America. Mark married Roma Downey on April 28, 2007 at their home in Malibu. The ceremony was officiated by Della Reese. They have three children, Cameron Burnett, James Burnett, and Reilly Anspaugh.